The journal “Rehabilitation and Palliative Medicine” is published since 2015. 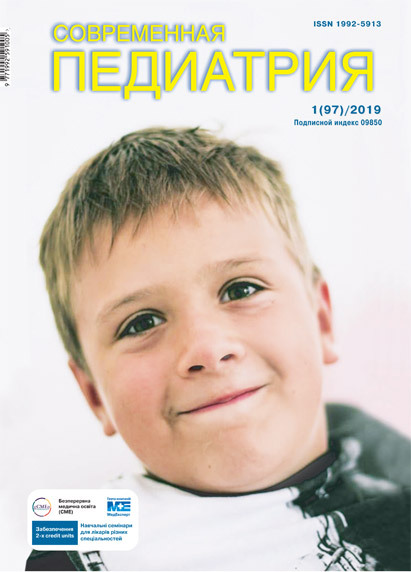 Edition of the journal is carried out jointly with Ukrainian Public Organization "Ukrainian Palliative and Hospice Care League” and National Medical Academy of Postgraduate Education by P.L. Shupyk. The information shared by the journal harmonically combines contemporary organizational and methodological forms, methods and technologies designed to facilitate living condition of patients, and contributes to the consolidation of health care providers and the public addressing health care issues. In addition, the journal provides professional and legal support to specialists engaged in the field of medical and social rehabilitation and palliative care. In the process of registration at the Institute for Information Recording of National Academy of Sciences of Ukraine, under registration in Ukrainian abstract dat abase (Україніка наукова). Articles of the journal are assigned digital object identifier (DOI) at CrossRef. Dissemination of information on actual issues in palliative medicine in medical and public communities, that relates to contemporary issues of national health care; realization and development of an integrated cross-sectoral assistance to seriously ill patients. Moiseyenko R.O. – doctor of medicine, professor, head of the department of Pediatric Neurology and Medical Social Rehabilitation of National Medical Academy of Postgraduate Education by P.L.Shupik, deputy chairman of Ukrainian public organization”Ukrainian League to promote palliative and hospice care”, Honoured Doctor of Ukraine. Hubskyy Yu.I. – doctor of medicine, professor, corresponding member National Academy of Medical Sciences of Ukraine, head of the department of palliative and hospice medicine of National Medical Academy of Postgraduate Education by P.L.Shupik, deputy chairman of Ukrainian public organization”Ukrainian League to promote palliative and hospice care”, Honoured Doctor of Ukraine. The journal provides immediate open access to its content on the principle that making research freely available to the public, supports a greater global exchange of knowledge under Creative Commons Attribution 4.0 International License (CC BY-NC). Users can read, download, copy and disseminate content for educational and scientifical purposes with the saving of authorship. The journal is published in Ukrainian, Russian and English languages. The journal publishes the results of original research, problematic and controversial articles; summeries of workshops, conferences, symposiums and congresses; activities on rehabilitation and palliative medicine; literature reviews, lectures, reviews of books, monographs, textbooks, etc., informs readers about the pharmaceutical novelties and achievements in the field of domestic and foreign innovations. Every manuscript submitted to the journal is subject to peer-review process (double blinded) by the Editorial Board, considered and recommended by the Scienctific Council of the National Medical Academy of Postgraduate Education by P.L. Shupyk. Manuscripts are subject to editing and reduction, if required, without any changes in author style of presentation. Statements and opinions expressed in such articles are those of the authors and not necessarily those of the Editors or Editorial Board of the journal. Authenticity of the information in the articles, the accuracy of titles, names and citations are the author responsibility as well as plagiarism in submitted manuscripts.